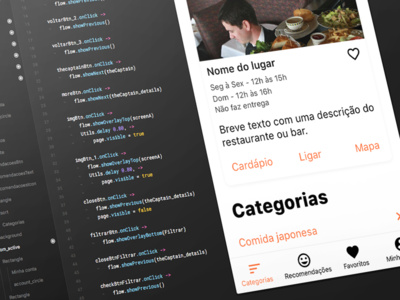 Desfomeando - Framer Prototype — I've done a Framer prototype for a food service a while ago. Mobigo - Results Case Study — Another shot of Mobigo App. 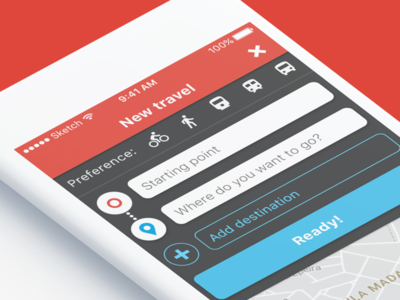 The user can find the best route based on traffic, time and transportation preferences. 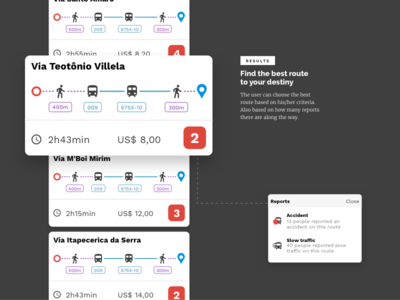 Mobigo App - Public Transportation — Back in 2012, we designed an app to help people to use the messy public transportation and avoid traffic incidents in São Paulo city.